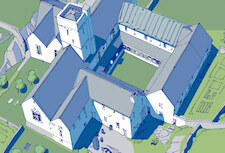 Before moving to Ireland in the 1990s I produced a small guide for visitors to the ruined priory at Whithorn, with line drawings and text on card. 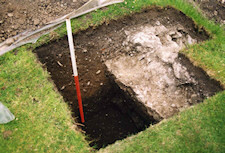 I put together a souvenir booklet for the Whithorn Trust, on the excavations. The first booklet was half in colour, and the second entirely in colour. 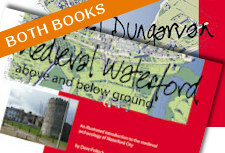 In Ireland I have put work into the Cahir Castle (Co. Tipperary) souvenir guide, and the Barryscourt Castle (Co. Cork) and Scattery Island (Co. Clare) leaflets, all for the National Monuments Service, OPW. 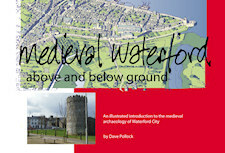 I updated indoor displays at Jerpoint Abbey (Co. Kilkenny), Ferns Castle and Tintern Abbey (both Co. Wexford), for the National Monuments Service, OPW and in recent years produced a number of outdoor panels for Waterford Council’s Heritage Officer. 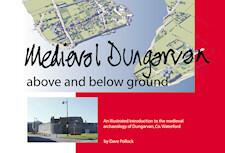 In 2013 I produced a guide to the medieval archaeology of Dungarvan, as a small illustrated book, and the following year produced a similar guide to medieval Waterford. Further guides are planned.